When Jennings and Keevil undertook this political blogging mini-adventure, they wanted to be open about their politics and so they used a variety of tools to demonstrate this. One of those tools was Vote for Policies and as the title suggests it has been updated for 2015 policies. Two clear differences this time: The first is no BNP. The second is more meaningful. Your first option is to decide whether policies are something you would definitely vote for or not. And this was interesting because presented this way, unattached to a party name. there were policies that you might not vote for, but you also potentially wouldn’t definitely not vote for them. So how did Jennings and Keevil do? Here we will be presenting the results of their 2015 vote. Later blogs will look at individual policy areas and invited others to comment and counterpoint those. Potentially interesting points to notice. 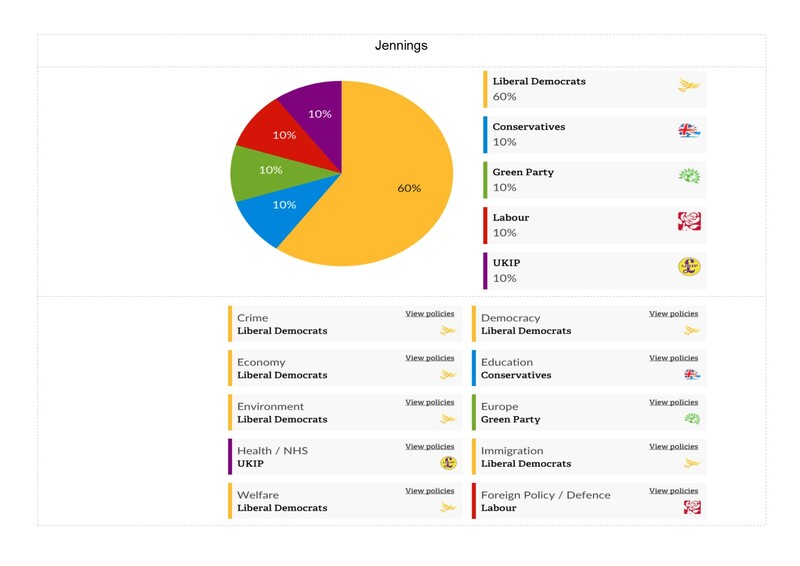 Jennings not Lib Dem areas of choice are evenly split between the other parties, including Conservative and UKIP. His support for Conservative education policy will undoubtedly be an area of future conflict with Keevil. 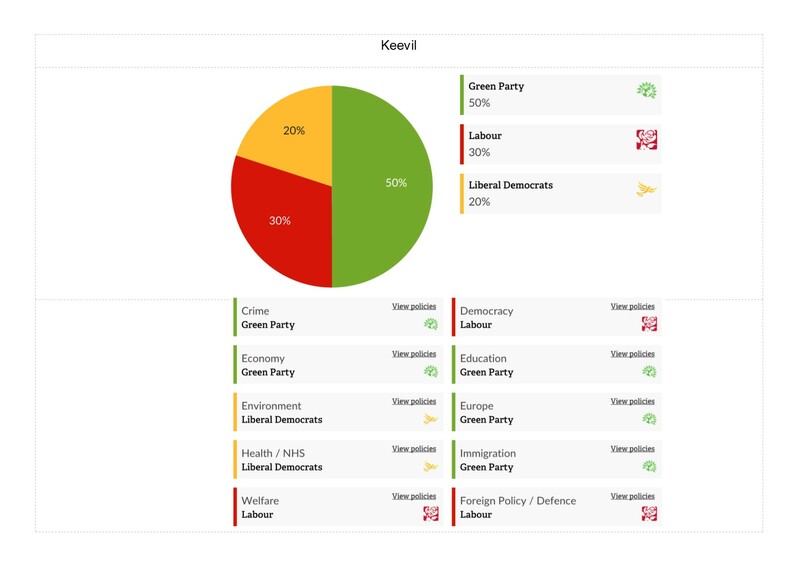 Keevil’s support for Green policies has declined since VfP 2010, most notably like Jennings supporting the Liberal Democrats policy on the environment, which arguable identifies why he is no longer a member of the Green party. Previous PostPrevious Medway Budget 2015: Live Tweeted and available on storify! Next PostNext How is Rehman Chishti an MP and a Councillor?